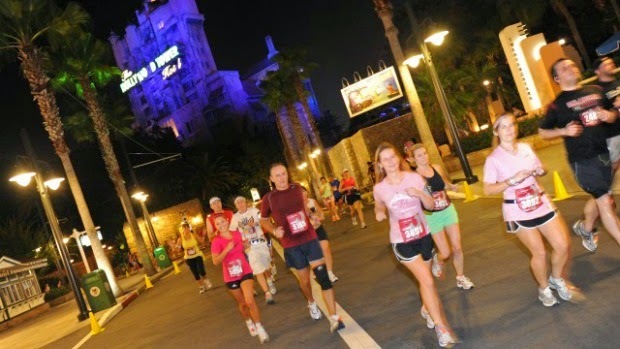 It's almost time to take on the Tower of Terror 10-miler! 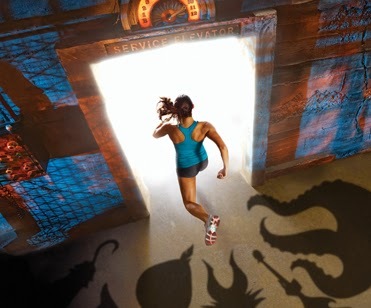 I know many of you are heading to Walt Disney World this week to tackle this villain-themed race. Gotta say it: I'm jealous!!!! This is one of the races that none of us have participated in. Ironically enough, my training schedule has a 10 mile run this weekend. Ugh! Why isn't there a spot for me in this race?!?!?!? It would have been perfect!!!! We didn't want to leave you hanging, though, just because we won't be there, so we scoured the web to find all of the important details to make sure you have the best race experience. The Expo is where you will need to head first to pick up your race bib, your race swag, and spend all your money (oh...or is that just me?). From past reviews, this expo is pretty small, but I bet I could still find ways to spend lots of cash! Did I mention I was jealous yet? That is the BEST runDisney jacket I've seen yet (and I love me some jackets)! The expo is open from 10-7 on Friday and 8:30-3 on Saturday at ESPN Wide World of Sports. If you are staying at a host hotel on property, buses will transport you to the expo. Otherwise, a short cab ride is an easy way to get there if you don't have a car. Remember, there is no packet pickup at the race start. This is Disney's version of a trail run. Weather reports are looking like this may be a muddy one, so I'd suggest you pack a pair of old shoes just in case. The run starts at 7:30, but you will want to be in your corrals by 7:15. Buses will start loading at the hotels at 5:30. This is what everyone's here for (and what I wish someone would give me a bib for)! The race starts at 10, but you'll want to be in your corrals by 9:30. Buses start at 7:15. Being that this is a night race, even with the "gloomy" theme, everyone is pretty lively and excited at the start. There will be some food trucks, but I personally wouldn't chance it. Be sure to hydrate early; it's always hot for this one. This is the party just for you, runners! Celebrate your achievement with your friends and family with exclusive access to the park. Don't forget to bring money for snacks--seriously--is the ONLY thing I do in Disney is spend money??? The party goes on until 3:30 am, so I dare you to stay through the whole thing! In all seriousness, though, we wish all the runners the best of luck! Have so much fun, make lots of memories, and soak it all in. Rumor is that this is THE BEST runDisney themed race. Expect the unexpected.